This extremely effective and economical deodorant crystal Spray is 100% pure and natural. 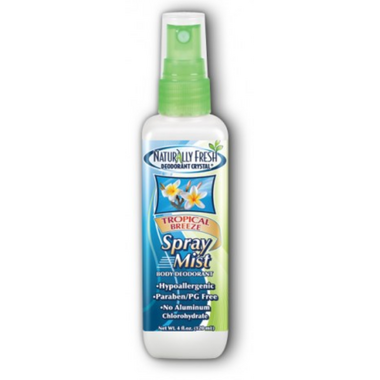 Naturally Fresh Spray Mist Deodorant is hypoallergenic, gives 24 hour protection, and does not stain, with a fresh tropical scent. Highly recommended by doctors- oncologists, dermatologists, and allergists.